If you’ve always longed to have the ‘blue tick’ on your Instagram page you’ll be happy to hear that you can now apply for one. In the hopes of making its site safer, Instagram has launched a host of new tools – including the ability to apply for verification. Announcing the changes in a blog, Mike Krieger, Co-Founder of Instagram, said: “Our mission is to bring you closer to the people and things you love. So, what’s new on Instagram? Following parent-company Facebook’s lead, Instagram has this week announced a new set of tools designed to help users get a better understanding of who, exactly, is behind influential Instagram accounts. The first new tool is an ‘About This Account’ section, which allows you to see more information about large accounts. To learn more about an account, go to their Profile, tap the ‘…’ menu, and select ‘About This Account.’ There, you’ll see the date the account joined Instagram, the country where the account is based, accounts with shared followers, any username changes in the last year and any ads the account is currently running. This allows you to see the public accounts that have the most followers in common with “X” account you’re checking, which may help you identify accounts with similar interests. Why is this important for your brand? It could be an interesting source of competitive research for market understanding, dependent on how much insight is provided. If you could look up a direct competitors’ profile and get a list of the other Instagram profiles which are commonly followed by people within their audience, that could give you a better understanding of market trends and interests, and help you better focus your on platform content efforts, by learning what your target audience is looking for on the platform. In addition to insights into accounts with large audiences, Instagram will also now allow profiles to apply for Instagram verification, which has thus far only been available at Instagram’s internal discretion. Why Instagram Verification is Important for Your Brand? Being verified by an authority, which Instagram is, reveals you as an authoritative brand as well. It will help you build, market and boost your brand significantly. This will confirm and assure all your followers that they are looking at the real deal, not some troll or imposter. Social Media is a byproduct of society. The wealthy mingle with the wealthy. The famous with the famous. Being verified may be superficial, but when it comes to networking with other brands and influencers, the blue checkmark helps. But while anyone can apply for verification, you must meet Instagram’s strict criteria (which can be found in the Help Centre) to actually get the blue tick. 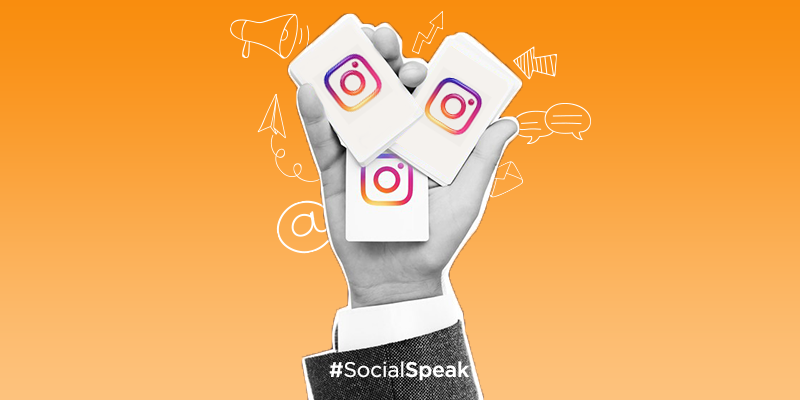 Stay tuned to #SocialSpeak for more on the latest social media trends, and for the inside scoop on what’s happening in 2018.